The J.R.Roy Martial Arts Studio is proud to announce an all new discount for local businesses, in or near Greenfield, Massachusetts. With the goal of improving health and wellness in the local community, we would like to make the following offer. 2 employees that join any program for at least 6 months get a 15% discount on tuition. 3 or more employees that join for at least 6 months get a 20% discount on tuition. 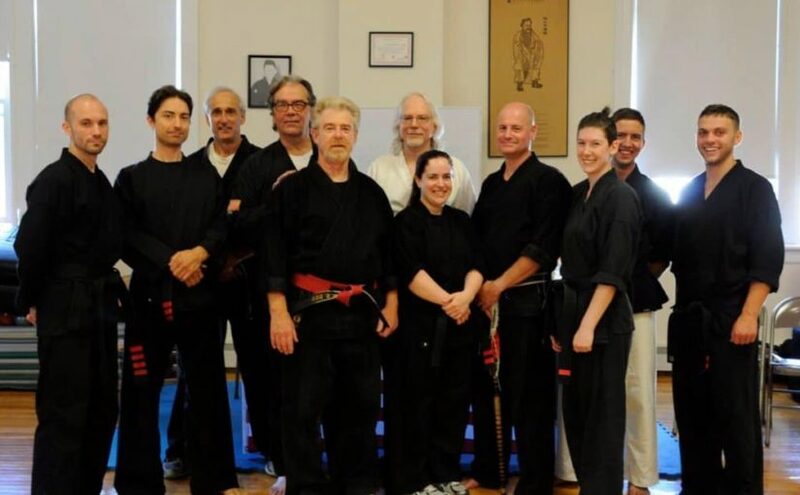 The J.R.Roy Martial Arts Studio offers a wealth of martial arts programs including Karate, Modern Arnis, Tai Chi Chuan, and Qigong. Read more about our programs here. Healthier employees work more efficiently and hold better attitudes towards their work. 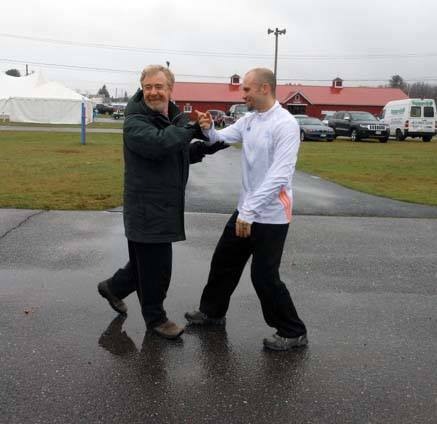 Fitness programs like those offered by JRRMAS strengthen the commitment employees have to their employer. Prepayments have tax advantages if completed before the end of the year. 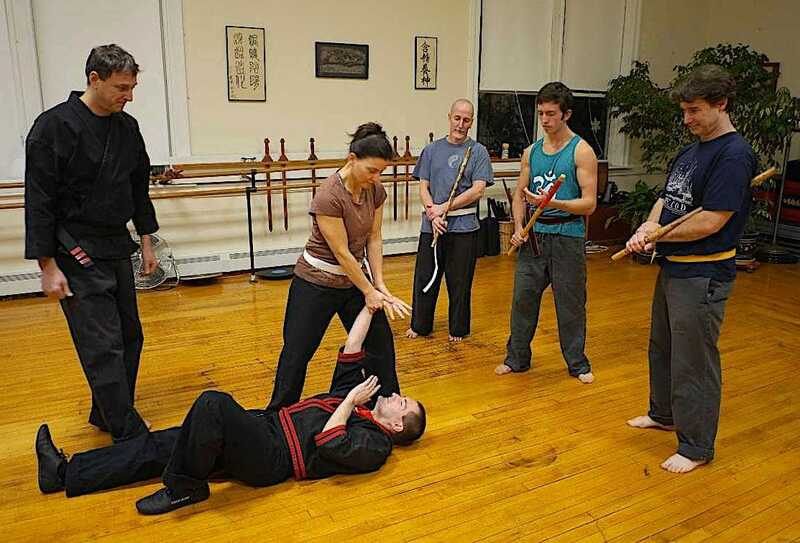 Cheri performs the backwards throw takedown during an Arnis class. Our instructors have decades of experience and can teach students at any level. Our programs offer varying levels of physical and mental challenges that stimulate growth and build confidence in our students. We offer night, morning, weekday, and weekend classes to fit different schedules. 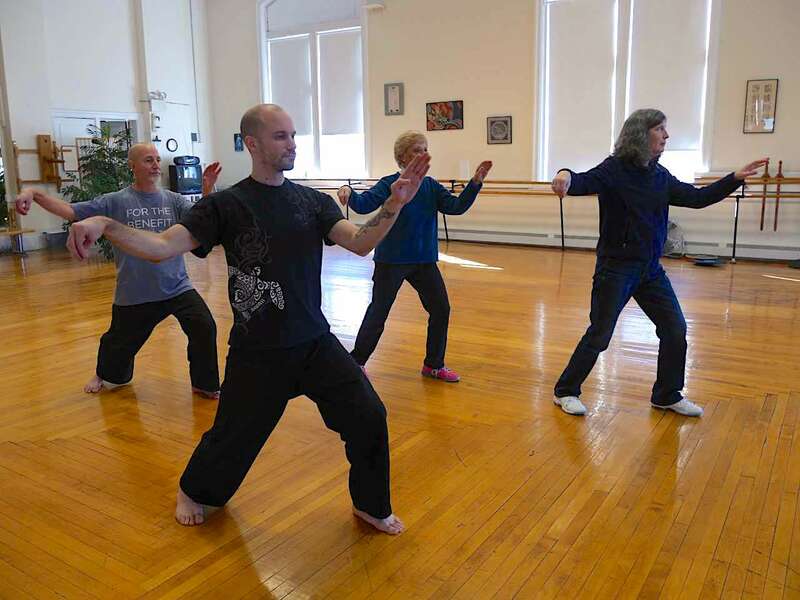 Sensei Chaisson leads a Tai Chi class through the Empty Hand Form. Please contact us with questions about this offer or any other inquiries. 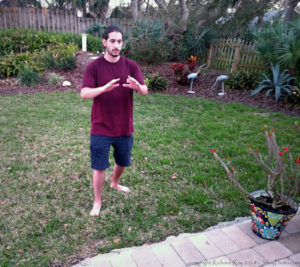 J.R. Roy Martial Arts Studio is proud to announce a new, 4-week Tai Chi & Qigong Course for beginners. The course will begin on the first Wednesday of the month at 5:30-6:30pm. The next session will begin on Wednesday, November 7th at 5:30pm. It continues every Wednesday 5:30-6:30pm and Saturday 8-9:30am. This course will be offered with a 10% discount on regular tuition and free registration. This equals a total savings of $47.50 for a limited time only! Anyone interested in Tai Chi or Qigong would be wise to take advantage of this special offering. Email jrroymartialarts@gmail.com to pre-register now. Also please note that regular Tai Chi classes on Tuesday and Thursday mornings from 8-9:30am are now Advanced Study Group classes. Attendance to these classes and the regular Bagua Zhang class on Thursday mornings from 7-8am requires permission from Master Roy. Master Roy also offers private one on one instruction for students in any art and of any level. See more about private lessons here. 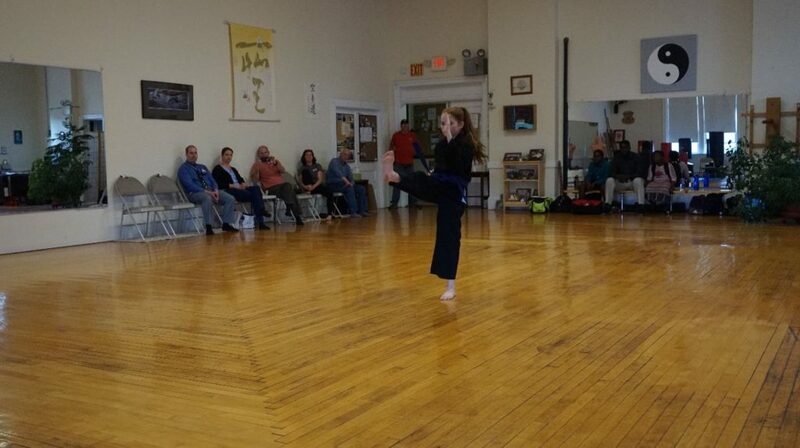 Sailor performing Seisan Kata at her Green Belt rank evaluation. Perseverance is the most important thing about these practices….Oh, and it’s a cycle….Some days more, other days less. Sometimes it feels great, other time not so much. Don’t overthink….Just do! J.R. Roy Martial Arts Studio is proud to announce this latest addition to the JRRMAS curriculum. Ashley Liu, who taught Chinese calligraphy here last winter, and Jack Fox, Karate and Arnis instructor, will teach this course. The course will consist of two classes. 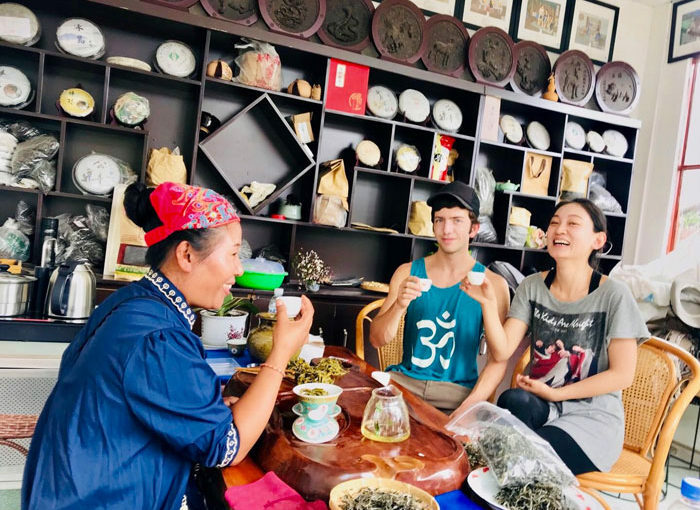 In the Gongfu Tea Ceremony class, students will learn the history, various production methods and techniques for making teas, and prepare samplings of various traditional teas using the Gongfu method. In the Chinese calligraphy class, students will begin by learning the basic strokes and materials of a calligraphy artist, followed by traditional characters and more advanced techniques. Students may attend just one or both of these classes. Having sparked interest with the “Taste of Calligraphy” class last February, Ashley and Jack are excited to provide this course for students who want more complete instruction in this ancient art. Ashley teaches a Chinese calligraphy course every July to foreign students in Beijing, so her teaching and calligraphy skills will be fresh when she visits Western Mass at the end of the month. The Gongfu Tea Ceremony part of the course will be a first for the studio. Although this may be Greenfield’s first taste of gongfu tea, it has a long history in the East. Since the Song dynasty (960-1279 AD), scholars and martial arts masters alike have used this method to stimulate their senses and as a study in itself. It’s time for Sifu’s daily cup of green tea to be brought to the next level. Jack and Ashley spent time this spring with tea masters in Yunnan Province, China. There they studied the Gongfu Tea Ceremony and all about pu’er tea. 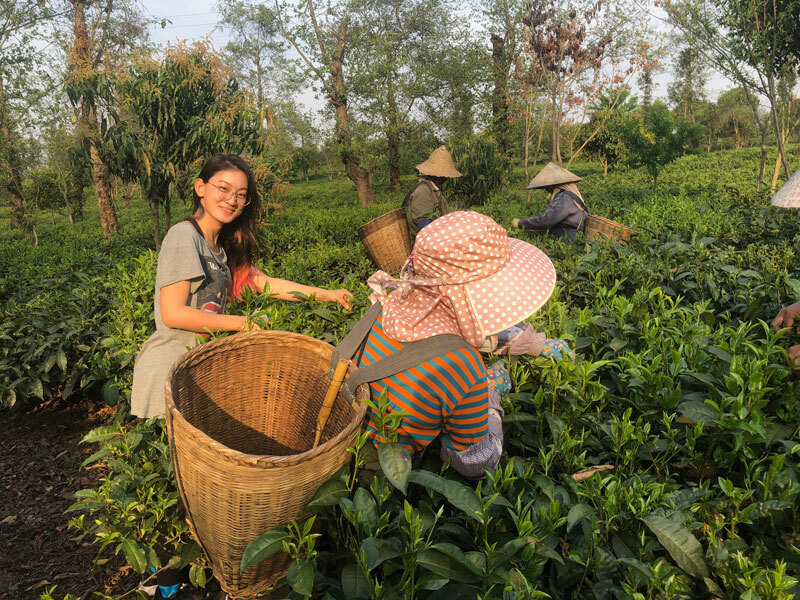 The ethnic minorities who still inhabit this original tea producing region, and visiting tea masters taught and inspired them to share this knowledge. They made sure to bring back delicious and authentic tea as well. Join us this summer to learn more about tea, calligraphy, and Chinese culture! 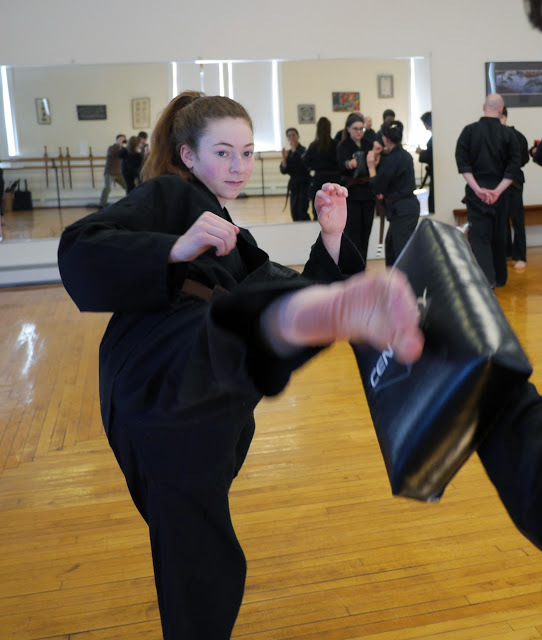 Recent training at The Studio – Skyler C. practicing her Round House Kick to a focus pad. So much fun when you hit it correctly and it makes a loud smacking sound! Guess how long has Skyler been training at The Studio? 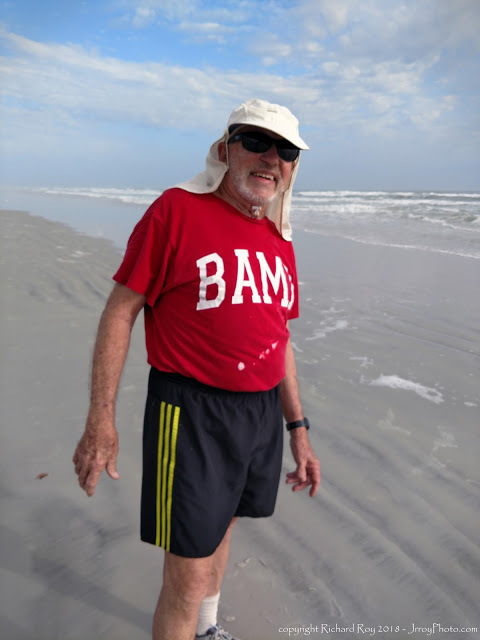 New Smyrna Beach Tai Chi Associate Horace B.
Horace has been living and running the NSB beaches for 60 years! Guess how old he is? He is still running marathons and has run the Pike’s Peak marathon (what he calls the toughest race) TWICE! We talked about the additional benefits that one gets from exercising on the beach…There’s many, from the softer surface to the breathing in of the ‘sea air’ to the overall energy of the ocean and becoming ‘one’ with nature. 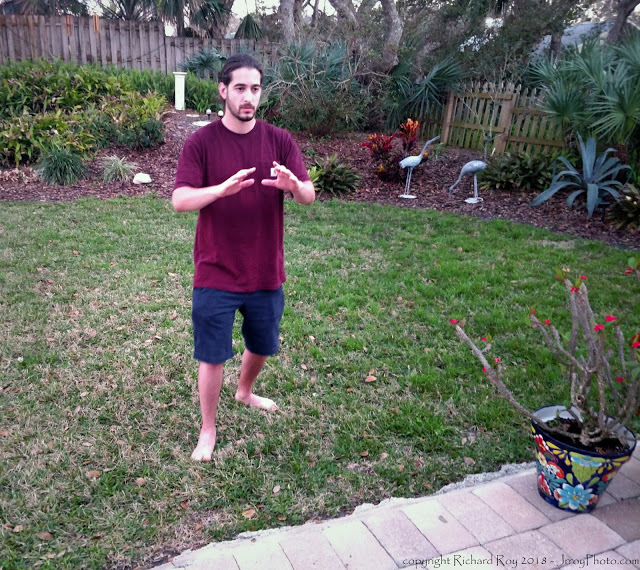 New Smyrna Beach Taiji Associate Teryn C. Practicing a Movement from Hua To’s 5 Animal Frolics. A recent training with Wayne H. working on proper head position by using a single finger to assist the head straight back an inch or two, so that the neck rubs the collar. The ear, shoulders, hips and balance point on the feet are all in a vertical line, follow gravity down the body from the head to the feet. Imagine you’re standing on a mirror, your mind goes down into the earth as far as your imagination will allow.